I’ve been working so hard at a lot of things lately that the inspiration to be awesome hasn’t been as forthcoming for me as it has in the past. Unforgiving deadlines, a growing to-do list with no end in sight and physio to work on burns a person out, leaving her going through the motions and work to survive, not thrive. So, I took a holiday, and because I can’t ever switch off and completely relax, I went on a bit of a mission of self-discovery to re-find what makes me awesome. I know I have been; I know I can be. Because, unfortunately, I’m a cog in the corporate machine to earn my crust in this world, I went looking to TED Talks for some inspiration and stumbled on Neil Pasricha’s blog and book about 1,000 awesome things – he was just looking for the positive things in the ordinary life he was living when he was finding it hard. What are the Three A’s of Awesome? 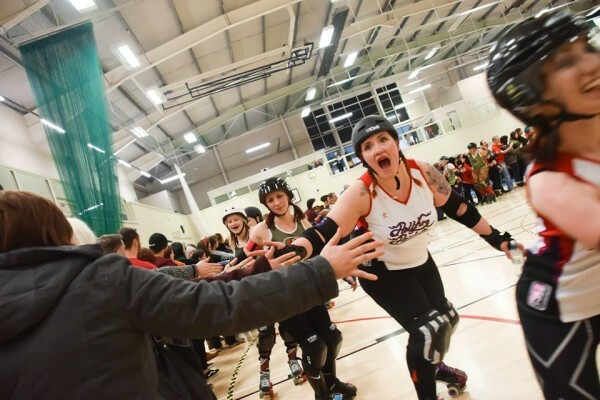 Attitude: You don’t get far in roller derby with a crappy attitude. 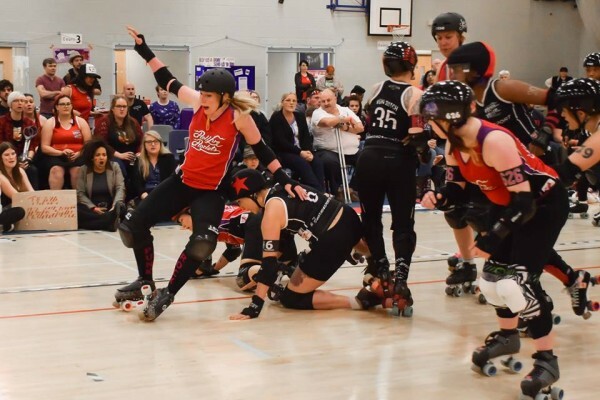 If it’s always someone else’s fault that you didn’t make the team, get the rotation you felt you deserved, the crowd were so loud you couldn’t hear your blocker screaming that they’ve made you a gap that you as a jammer *could* have taken, then give yourself a quick shake and take responsibility for yo’self, girl! It is my personal belief that you don’t get what you deserve in this life, good or bad. The work you put in doesn’t always match the output that you think you should be getting, but having the right attitude and the belief in yourself and also your teammates makes your achievements glorious and your low periods bearable. Call it ‘deferred success’; call it whatever you like: you have to have the faith in yourself that you can achieve whatever the hell it is you want to achieve. To be strong, to be resilient and to keep fighting when your opponents seem like they are 8 foot tall, built like brick sh*thouses and clearly out to kill you comes from a positive mental attitude. We practice it a lot with the Harlots, as you have to filter out the external stuff and focus on what you can do to get what you want, what you need. May K. Fist “in the zone” and in the right mental space to get through the opposition. Awareness: Pasricha talks about awareness, referring to how three-year olds see the world – how everything is amazing the first time they see something. No matter how long you’ve been playing roller derby, you will keep encountering ‘firsts’, and I freaking love that about our sport. Not only do you need to keep working towards those ‘firsts’, but appreciating them in yourself and in your teammates is also a wonderful feeling and keeps everyone working hard and hungry for the next win, no matter how small. Authenticity: Knowing who you are and owning it is admirable and something we all want for ourselves, but it is also something you have to work at, particularly if the people around you don’t quite get it. Pasricha talked about Rosey Grier, a 300-pound, six-foot-five linebacker in the NFL in the 1960s who also enjoyed needlepoint. Did people take the mick? Probably. Did he give a tiny rat’s behind? Unlikely! 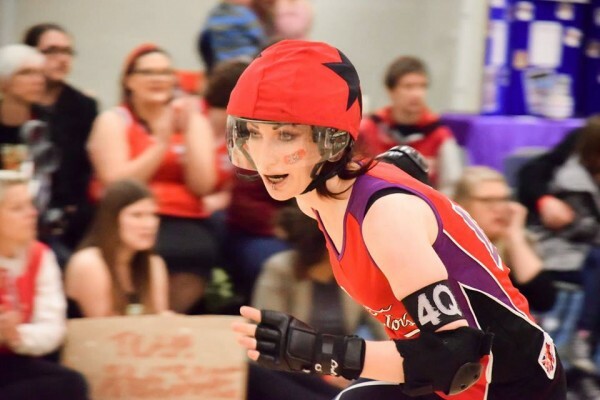 If you play roller derby, the chances are you’ve encountered people who range from curious to downright insulting about our sport, and you embrace the positive and challenge/ignore the negative. You may have encountered teammates who don’t quite get who you are and what you stand for, but they support you anyway because they are wonderful people. Finn Furious’ “Jen Face” – authenticity at its finest! As a league, you spend so much time together and go through so much together that you can’t hide who you are and what you care about for long, but why the hell should you try? The world does not benefit when you hide your badass-ery. Watching the Three A’s of Awesome felt really comforting because being awesome isn’t just the tip of the iceberg amazingness that people show on the track on bout day. It’s all the hard work that goes in before that and relies on the love and support of others. All of us, together. If you know someone who has a great attitude, the awareness to see something great when it happens right in front of them and the strength to show who they really are then tell them that they’re awesome and believe it when other people tell you that they think you’re pretty awesome, too. I feel pretty awesome myself right now.